Astrophotographer Chirag Upreti. Earth panorama and Venus belt over the horizon behind the Roque de los Muchacha Observatory in La Palma. In this beautiful panorama of the Canary Islands, the Earth shades its shadow by creating a dark blue arc. Just before the shadow, the sky is decorated with a pink glow, known as the Venus Belt. Astrophotographer Chirag Upreti took this picture from the island of La Palma, home to some of the most powerful telescopes in the world. Here is the Northern Optical Telescope (left) and the William Herschel Telescope, a large white telescope with an onion-shaped dome. To the right are some of the smaller telescopes, including the Dutch telescope, the Swedish solar telescope, and the Isaac Newton telescope. Earth's shadow is the easiest to see above a flat horizon from high altitudes. 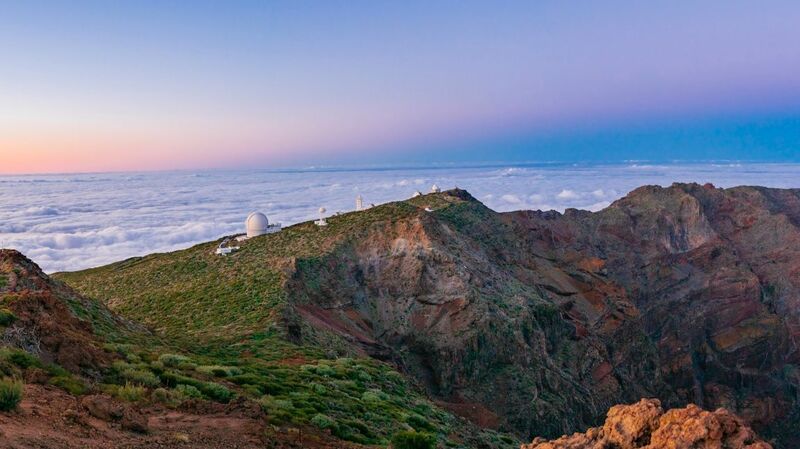 So Upreti solved Roque de los Muchacha, the highest point on La Palma Island, and pointed his camera to the sea. The shadow of our planet and Venus's belt tend to coincide with a civil impasse when the sky is clear. At sunset, the shadow appears in the sky, and at sunrise it falls behind the horizon. The Venus band looks pink for the same reason that sunset and sunrise will affect the sky in similar shades. As sunlight travels through the Earth's atmosphere and scatters particles, shorter wavelengths, like blue, are scattered more than longer wavelengths, such as red. During sunrise and sunset, sunlight travels over a longer distance through the Earth's atmosphere before reaching the eye, resulting in more blue light scattered. Red, orange and yellow shades of light take over the sky, giving us great sunsets and a Venus belt.
] Send to Hanneke Weitering at hweitering@space.com or follow her @hannekescience . Follow us on Twitter @Spacedotcom and Facebook .